Elizabeth Bruce (organist at FPC) and friends will present a family-friendly concert. 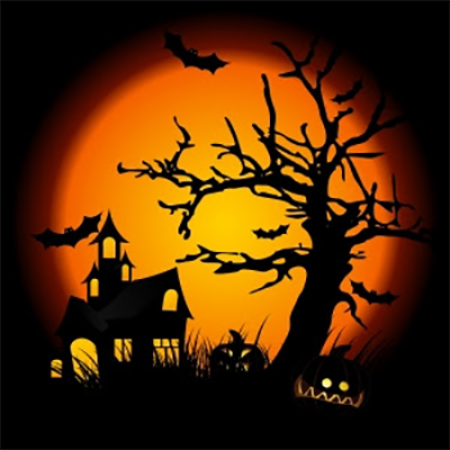 This event will feature some “scary” organ songs (e.g. Phantom of the Opera and Bach’s (in)famous Toccata in d minor) that aren’t quite fitting for Sunday mornings, but are definitely fitting for Sunday afternoons! Elizabeth and special musical guests will cover multiple genres – from musical theatre to baroque-era Reformation organ music to celebrate its 500th anniversary this year. This program will feature musical “treats” for concertgoers of all ages! Children, grandchildren, neighbor children, and the young-at-heart are encouraged to attend this introduction to the organ/costume party event! Elizabeth will perform in costume, and she encourages guests to wear their favorite costume, or just street clothes, to the event. Musical Volunteers: Longing to dress up as Elsa or Elvis and serenade the sanctuary with your favorite song? E-mail Elizabeth if interested! This program is child-friendly; all songs must be appropriate for young ears. Since this program is child-friendly, short songs are especially welcome and appreciated! Transportation: We are in the early stages of planning for families from churches served by ISAAC to come to the program. We will likely need volunteers to transport these families to and from the event. Trunk-Or-Treat: After the program, we will hold a “trunk-or-treat” for concertgoers of all ages! Elizabeth was first introduced to this concept in Nashville, but since Michigan weather is a bit more unpredictable in October, we’ll do the suitcase variety as opposed to the car trunk variety of this Southern Halloween staple. In a “trunk-or-treat,” participants decorate candy-containing suitcases or bags. Each bag will have a corresponding donation jar and, in a friendly competition, concertgoers may “vote” for their favorite trunk while “trunk-or-treating” for candy in the Gathering Space! Most importantly: All proceeds from the Trunk-or-Treat and a freewill offering collected at the event will benefit Orchestra Rouh. Orchestra Rouh, an initiative of the KSO and Gilmore Foundation, provides Syrian and other refugees with musical experiences that help reduce isolation, accelerate language acquisition, and make families feel welcome and appreciated within the Kalamazoo community.